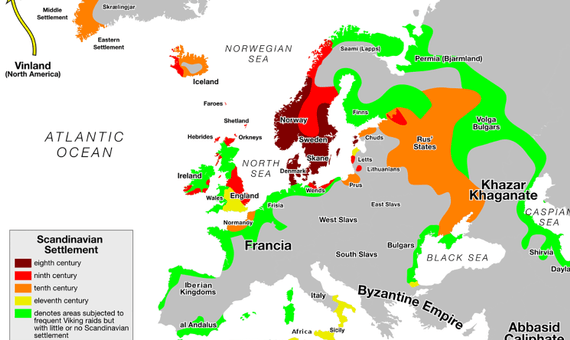 The Vikings are known for being cruel warriors and skilful navigators who for centuries (from the 8th to the 11th) regularly set out from their native Scandinavia to explore and plunder other lands. The key to their successful raids was their ships, the speedy drakkar, technically superior to those of their rivals. In addition, they were able to orient themselves on the sea without a compass by using solar stones that allowed them to know where the sun was on overcast days. Thanks to their technology and their zeal for conquest, they reached the coasts of almost all of Europe, North Africa, the Middle East, Central Asia and the northeast of North America and would also colonise Iceland and Greenland. Vikinging was the “summer job” that these 8th-century Scandinavians began to do. Fara í víking meant “going on expedition” in Old Nordic, something they did in the summer months. They temporarily left their villages, leaving behind their occupations as farmers and ranchers, to seek out new lands and acquire impressive booties. Those who embarked each season on this task began to call themselves “Vikings” without knowing that they were also coining the term that would provide a name to their own people and that would, by extension, denominate an entire epoch. Plundering became their specialty thanks to their versatile vessels. “Their warships were light and designed to be able to navigate up to one metre deep, so they could venture into rivers, marshes or approach the beach itself. There were riverside carpenters under the command of an expert who personally chose the trees that had to be cut down. The saw was never used,” says the expert Manuel Velasco, author of more than ten Viking-themed books. 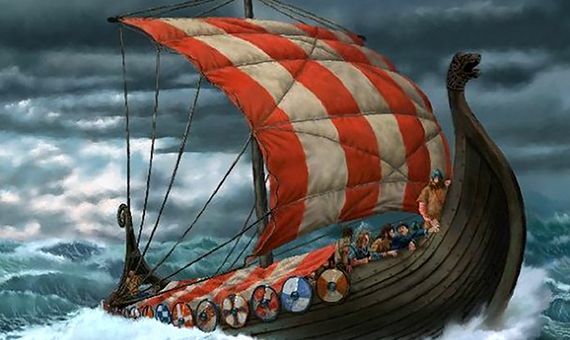 Although they also used other types of ships, the most characteristic Viking vessel was the drakkar, “dragon” in Old Norse. Long and narrow— the largest recovered has 35 meters in length—the drakkar allowed them to move in places where there was very little water thanks to a very low draft of barely half a metre, an innovation for the time. Overlapping the boards that made up the ship’s hull, as it was being built, made it very flexible. They were also symmetrical ships, equally long in the bow as in the stern, which facilitated turning at great speed. These were ships made to transport people and to go very fast, which under favourable conditions could reach close to 30km/h (16 knots) . The drakkar became the greatest military tool of the Scandinavians, as its characteristics allowed them to navigate both Atlantic and Mediterranean waters. “Until well into the Middle Ages, the ships of the Mediterranean civilizations could not sail reliably in the Atlantic, while the Vikings had long had ships adapted to any sea,” recalls David Fernandez Abella, an underwater archaeology expert in medieval history. 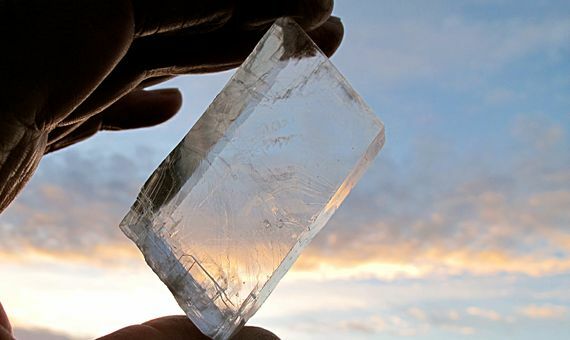 Thus, although they did not have a compass, “on the high seas they could know their location thanks to the Iceland spar, a type of calcite, which works as a polarizer, revealing a slight shine where the sun is,” says Manuel Velasco. In their travels through the North Atlantic, the Vikings also used to take cages with ravens, to release them and check if there was land nearby. If the birds did not return, they had found it. “The expert pilots even knew how to interpret details such as the colour of the sea to orient themselves,” says Velasco. 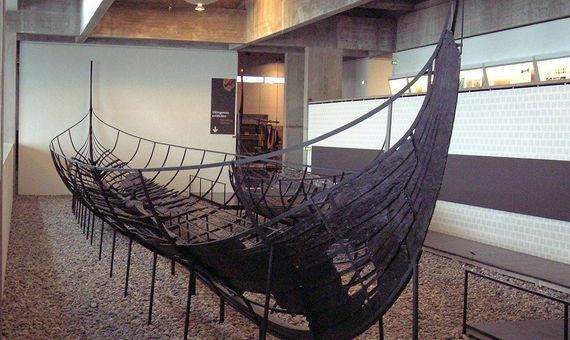 Their innovative ships and the ease with which they ascertained their location gave the Vikings a decisive surprise factor in the first round of attacks. Another advantage they had was that they assaulted their enemies with incredible ferocity when the battle commenced. “When they attacked, they produced immense terror because they were not afraid to die. They aspired to reach Valhalla—heaven for the Vikings—with their gods, but only those warriors who had died honourably in battle could enter there. The Valkyries would only collect the brave warriors,” says Losquiño, describing the typical Scandinavian attitude towards battle. Great explorers though they were, the Vikings have gone down in history more for their ruthless attacks. “They gave rise to the black legend of the time for attacking Christian religious sites. However, as monks were the only ones who knew how to write, one might say that their chronicles, without being false, were perhaps a little exaggerated,” says Velasco. James Watt, Full Steam Ahead!